Since 1994 Interface (http://www.interfaceglobal.com/Sustainability.aspx) has been an inspiring example of how a company can wake up to their environmental impacts after 21 years of operating, and change the combined cultural approach of their employees to reduce their operations negative impact on the environment. “Mission Zero” by Interface is a commitment to eliminate their negative impact on the environment by 2020. 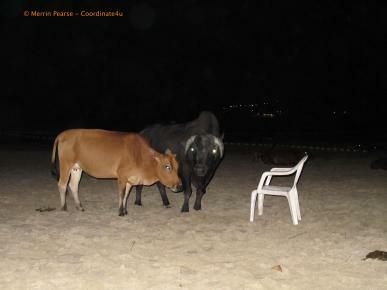 When they started they did not know how they would meet the commitment. Their Founder, Ray Anderson, said “We have to cut the umbilical cord to oil”. He reached out to his employees and asked for help. 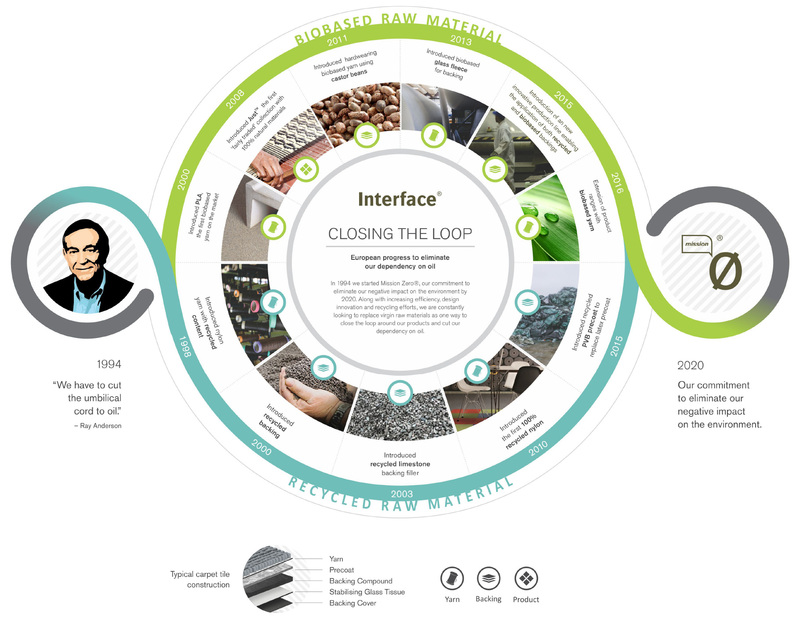 They acknowledged that, “Along with increasing efficiency, design innovation and recycling efforts, we are constantly looking to replace virgin raw materials as one way to close the loop around our products and cut our dependency on oil.” The European progress is nicely summarized in this infographic called Closing the Loop (http://www.interfaceflor.co.uk/web/closing-the-loop). If you are wanting help to steer your organization on the path to “Mission Zero” then contact us to discuss how through my consulting services we can together climb your own “Mount Sustainability”. Since the spill was first discovered we have been helping to connect people and disseminate information so that the mess can be cleaned up quickly. As residents of South Lantau we are helping to coordinate the cleanup efforts. 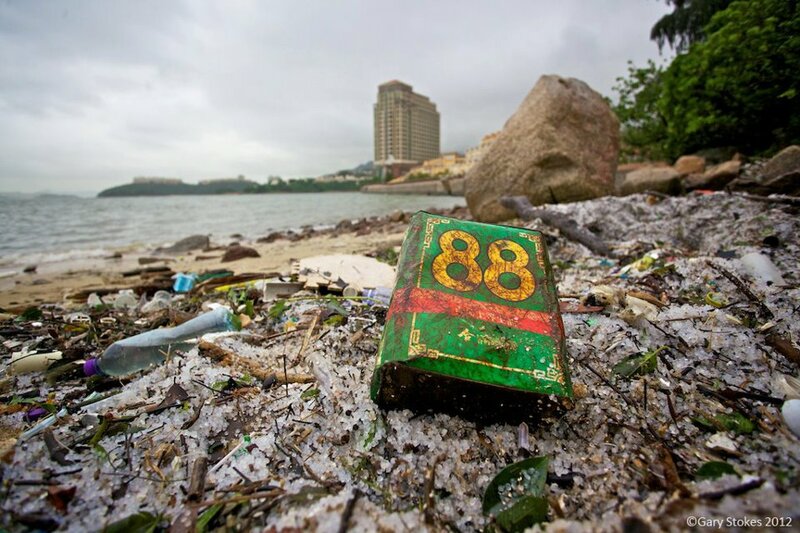 We will be working with Living Islands Movement to do this for South Lantau Beaches, so check out their Facebook page (http://www.facebook.com/LivingIslandsMovement) for the latest ways you can help and for reporting the condition of your local South Lantau Beach. As a human with 2 feet have you ever thought of the different footprints you leave behind by living? This article is a short introduction to some of the different footprint measures used to assess the resources used by an individual, an organization, a country or the entire human population. I say short because as you will quickly discover there are many ways to measure our impact and the resources we need to survive on this planet called Earth. 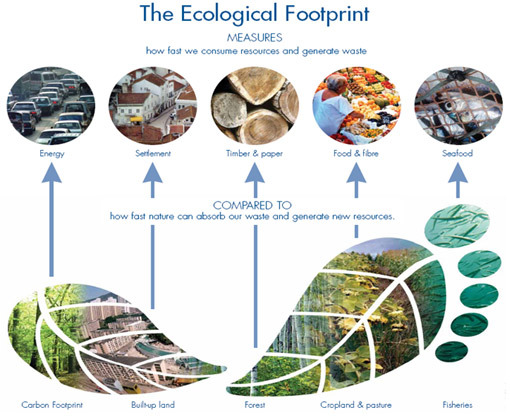 You probably have heard of the Ecological Footprint, this is the most comprehensive. The Ecological Footprint is a data-driven metric that tells us how close we are to the goal of sustainable living. Footprint accounts work like bank statements, documenting whether we are living within our ecological budget or consuming nature’s resources faster than the planet can renew them. The ecological footprint concept and calculation method was developed as the PhD dissertation of Mathis Wackernagel, under the supervision of William Rees at the University of British Columbia in Vancouver, Canada, from 1990–1994. I use the Global Footprint Network as a main reference for the reason that Wackernagel is the President of Global Footprint Network. Now you may often hear the term Carbon Emissions but what is it? This definition from EcoLife (http://www.ecolife.com/define/carbon-emission.html) provides a short summary. Paul Hawken – What is Power? When looking into the topic of sustainability and economics it will not take you long before you come across Paul Hawken. 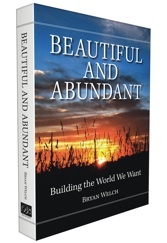 As an author he has written “texts” that have been widely read and changed the business approach of many. ‘The Natural Capitalism’ and ‘The Ecology of Commerce’ are great resources for any director or business manager. The story of Interface’s Founder and Chairman Ray Anderson, is one to show the impact that a book can have on business. This article is not about the books, rather an exploration of some thoughts that Paul has on approaching life. It was composed by Dr Merrin Pearse following a leadership event with Paul in San Francisco. What is power from a personal perspective? It is not the use of violence. It is not being driven by the need: to change people; to be a hero; or overcome disappointment. It is not being in a state of disappointment as that means you have become attached to an outcome that you may not have any control over. You are not going to be in a powerful state if you are living in fear of losing say money or security. The strongest power comes from being who you are. Do not have the burden of needing to have an effect. The effect will happen if you are having a great fine time. Do the things that you do well and team up with others who do other things well. We are in a period of end. Like cycles in nature it is great that things end and therefore allow change. There is nothing wrong with darkness – it happens each day. When you look in the shadows you can often find gold there. Those areas of a business which are the darkest can provide the greatest opportunity for powerful change. Go and explore there. If you are looking for ways to build collective team spirit in the area of sustainability then look at the initiatives by Social Profit organisation called the Pachamama Alliance which Paul believes is “the most important NGO on the planet at this time”. Their “Awakening the Dreamer – Changing the Dream” symposium is supported by the Dalai Lama, Van Jones, Desmond Tutu, Julia Butterfly Hill and many others. We live in a time where it is powerful to know that we are not mistaken though rather ignorant to the sustainability and social justice issues that business is part of creating and maintaining. Mistaken implies something that was not intended whereas ignorance implies we have so much still to know.